RiseUp! The Gospel Workshop is guaranteed to leave you Spirit-filled and musically-inspired. In this high-energy workshop with vocalist and former Golden Gospel Singer Chanda Rule, you will learn new music, re-visit the spirit behind singing, discover new vocal techniques, forge deeper bonds with old friends and embark upon new relationships that will last a lifetime. The workshop ends in Concert featuring…YOU! Go ahead, step out of your role as Shower Singing Sensation and Join the Choir! Why Should I Attend RiseUp! The Gospel Workshop? 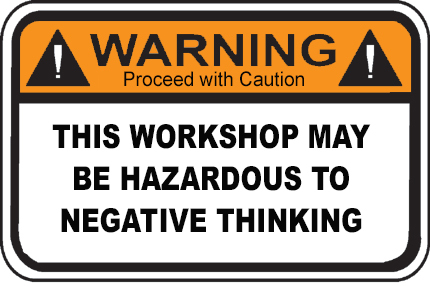 Planning a large workshop at your organization? We also offer a few “extras” to make your event unique and unforgettable: Special break out sessions, Concerts, Community Song Circles, and more. Email info@likewatermusic.com for details and questions. About Chanda Rule, OIM, MDiv Mesmerizing audiences around the world with her “liquid clear” song “bound to fill your spirit to its rim with musical serenity” and her passion for leading audiences of all backgrounds in harmonious song, Chanda loves to proclaim that music is a healing balm for the human spirit and uses music to honor the “downright sacred wholeness of every being.” She has been sharing her joy of sacred song through RiseUp! The Gospel Workshop - featured on ORF "Zeit Im Bild" and community song circles for 15 years. Her “bewitching voice,” as described by the Baltic Times, has graced a variety of musical projects: from "Feeling Good: The Gospel According to Nina Simone" gospel fests and workshops with the legendary Golden Gospel Singers, and as a featured vocalist with the Outreach Orchestra on Ö1 "Jazznacht. She has also performed as an opening act for India.Arie, Amel Larrieux, Angela Bofill, and Regina Belle & The Whispers. Listen for her voice on this season of "Dancing Stars" on Austria's ORF. “Thank you for one of the most rewarding experiences I’ve had in a very long time. Thank you, thank you, thank you.” - Margie S.
“You are amazing. You created something amazing.” - Susan T.
“I’m moved by the singing and sharing like I never expected to be moved and am grateful...” - Diane D.
“You cannot help but be moved...deeply!” - Rev. August G.
"Chanda Rule understood how to teach us with power and love... I gained tremendous confidence in my singing thanks to her positive support". - Sieglinde M.
“More than an amazing performer, Chanda brings her audience into a direct engagement in the music and a direct experience of the joy and life-giving presence of Spirit.” - Rev. Diane B.